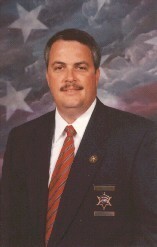 Captain Straughn has been with the Guilford County Sheriff's Office since 1985. He was one of our Motor Team's original supervising members and has served on the team since 2001. With his current duty obligations he is now a reserve member on our team. Captain Straughn has been riding Motorcycles, ATVs, Mini-bikes, Go-carts, pretty much anything with wheels and engines since his childhood. He is one of our department's certified Police Motorcycle Instructors. He strives to assist the motoring public in learning safe riding techniques. Teaching and assessing the North Carolina BikeSafe course is one of the community based programs he believes reaches out to the public in a positive way and hopefully saves lives.